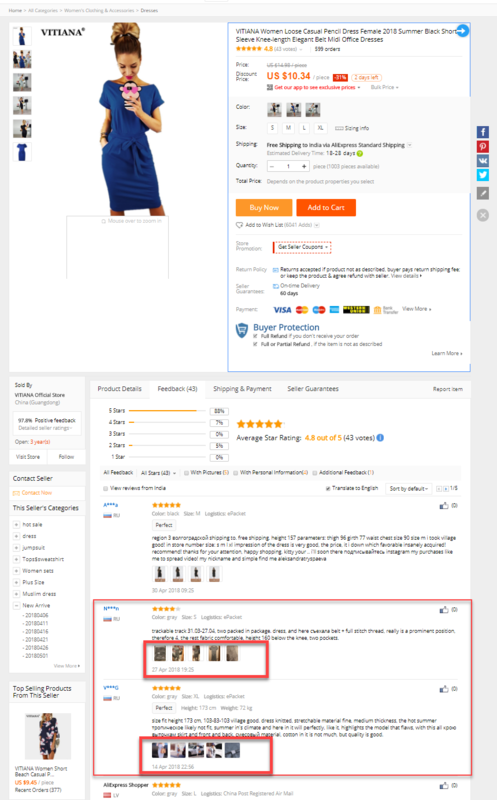 Does Magento 2 Dropship module import images of product reviews along with the product? 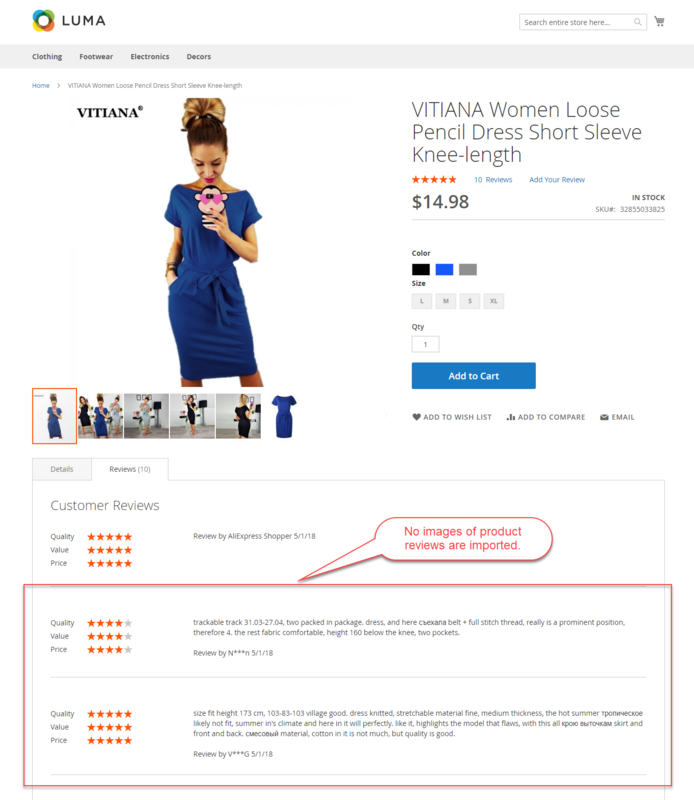 In Magento 2 Dropship module, the admin cannot import the images of product reviews from the AliExpress to Magento 2 store. Suppose there is a product which the admin has imported along with product reviews as per the below image. After the product import, the admin will find the product reviews but not the images of product reviews as per the below image.